Image by Eastbourne Hotels via sxc. Seriously? I’ve been disappointed before, but this is a new low, even by American government standards. Plus, this fight just got worse as the week went on. As the debate grew, the dairy industry jumped on board the pro-meat side, and the pro-meat tweets got a little out of hand. Sen. Chuck Grassley (R-Iowa) tweeted, “I will eat more meat on Monday to compensate for stupid USDA recommendation abt a meatless Monday” while Rep. Steve King (R-Iowa) said he advocates “Double rib-eye Mondays instead.” Sen. John Thune (R-S.D.) tweeted “Who at USDA thought ‘Meatless Mondays’ was good idea? Anti-[agriculture] agenda at USDA is irresponsible, even for a day.” On the other side, health and eco-advocates highlight the spineless USDA move with folks like Michael Pollen tweeting, “USDA’s brief “unauthorized” flirtation with “meatless monday” quashed by meat industry.” Vegan Capitalist tweets, “The #USDA is nothing more than the tax-payer funded marketing arm of the meat industry.” The USDA Press Team has joined in, tweeting, “USDA does not endorse Meatless Monday. Statement found on USDA website was posted w/o proper clearance. It has been removed.” Honestly, I’m not even going to justify claims by the USDA and the beef industry that meat is sustainable and healthy by debating the issue here. 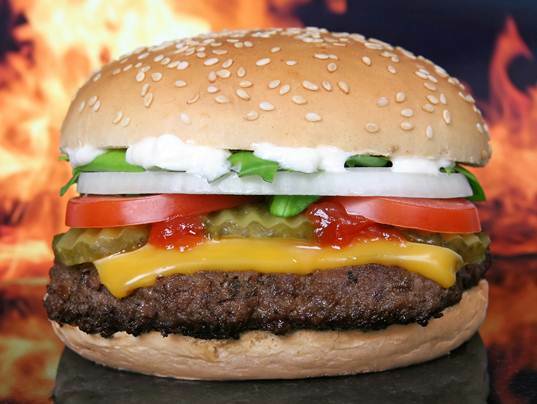 We all know this country has a major obesity problem, caused, in part by high calorie, high fat foods like meat. We also are well aware that no matter how you sling it, meat causes environmental damage. Obviously, meat is not the root of all evil in the USA, but neither is supporting a cause like Meatless Monday. Choose seafood at least twice a week as the main protein food. Look for seafood rich in omega-3 fatty acids, such as salmon, trout, and herring. Choose beans, peas, or soy products as a main dish or part of a meal often. Some choices are: Chili with kidney or pinto beans; Stir- fried tofu; Split pea, lentil, minestrone, or white bean soups; Black bean enchiladas; Rice and beans; Veggie burgers; Hummus (chickpeas) spread on pita bread. The USDA has a consumer brochure about protein that even points out how some Americans eat too much protein and should cut back. This same brochure suggests multiple protein sources beyond meat for a healthy diet. 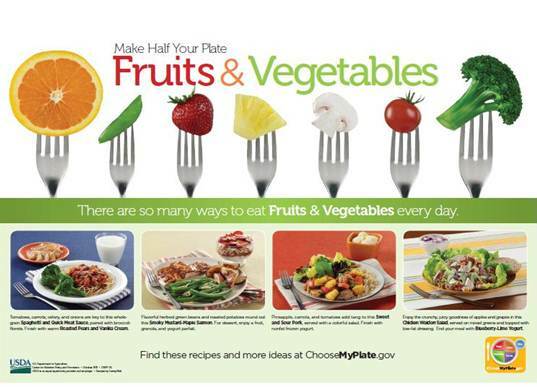 Furthermore, the federal government’s Dietary Guidelines for Americans which provide the basis for the Food Guide Pyramid and the nutrition requirements for the National School Lunch Program recommends eating “Eating vegetables, fruits, whole grains, fat-free or low-fat dairy products, and seafood more often” while cutting back on fatty meats. On top of this the newest USDA nutrition recommendations actually praise vegetarian diets, noting, “Vegetarian-style eating patterns have been associated with improved health outcomes — lower levels of obesity, a reduced risk of cardiovascular disease, and lower total mortality. Several clinical trials have documented that vegetarian eating patterns lower blood pressure.” Going meatless and cutting back on meat is not a new issue for the USDA. The fact that they’d renounce any and all support of Meatless Monday is beyond me. Who knows, maybe with a little pressure the USDA will change all of the above and start telling everyone to eat meat all day long. What do you think of this USDA move? Tell us in the comments. What if, instead of meatless Monday, we could ship out the volume of meat eaten every Monday for a year in the USA to countries where it Meatless Everyday Day. Farmers could be happy producing meat and organisations pushing to help eliminate anger all over the world could be helped. Argentina, big producer of meat could join the cause too.